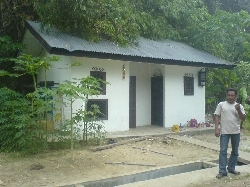 building for a WTP in Laweung. 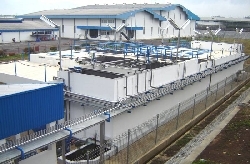 Large WWTP facility in Malang. 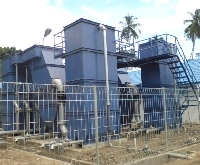 A steel WTP on Nias. A robust, high-quality infrastructure is crucial to the reliable operation of a water system. Nusantara Water Centre provides a wide range of construction services, which keep water projects on solid footing from the outset. Water/wastewater treatment plant housing and ancillary buildings provide the groundwork for a stable water treatment infrastructure. Leaktight basins are essential to channeling fluid flow without leaks into soil or groundwater. 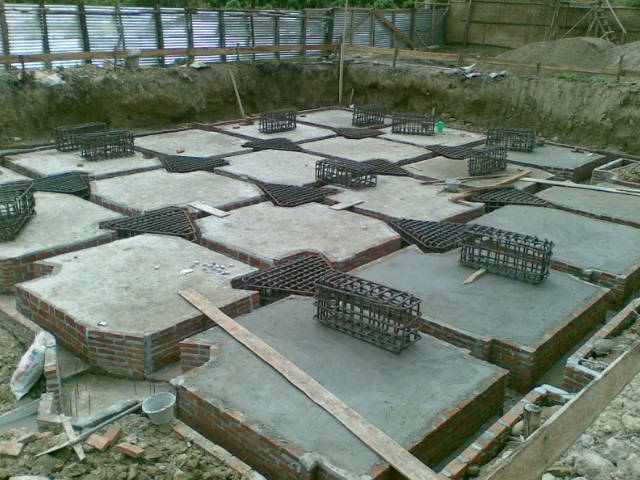 Specially shaped concrete structures meet special engineering requirements for water treatment system components. 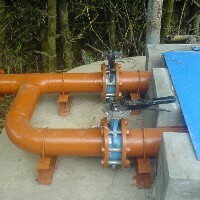 Pumps and piping systems ensure the unimpeded flow and control of water through the treatment process. Electrical control systems optimize operations and maximize efficiency.